A new eye-tracking study shows that about 60% of commercial breaks can go unwatched by viewers. The study from Tobii Pro Insight, an eye-tracking marketing research company, was conducted across 150 U.S. homes in seven cities in 2016-2018. Each participant was provided with a pair of eye-tracking glasses. Participants wore the special glasses for 30 minutes to 90 minutes while watching TV. The study did not require them to restrict any of their movements, and they were not asked to remember anything about TV ads or what opinions they held. They were exposed to more than 3,000 TV commercials. Results showed viewers' attention in the commercial break "decays consistently over the course of the ad break." The study said there can be a 30% swing in attention from the first commercial in a pod to the last ad. At the same time, the study showed that the longer participants watched a TV show, the more receptive they were to commercials. The study found that by the fourth advertising break in a TV show, TV commercials are receiving 8% more attention than average, rising to 13% by the fifth commercial break. In addition, shorter TV commercials -- five or 10 seconds -- received more attention than those of traditional-length commercials -- 15 seconds, 30 seconds, and 60 seconds long. Five- and ten-second ads were watched over 50% of their total duration on average, as oppose to a 60-second ad, where only 39% on average was viewed. The study revealed that men watched roughly 10% more of the typical commercial. While young viewers can be pre-disposed to multitasking with “second screens” such as on mobile phones, the study showed that those under 35 didn't have dramatically lower attention than older viewers -- just 5% under overall average. Looking at individual advertising categories, the best average viewing times were with retail marketing messages, at 9.1% more than average, while film/TV content commercials posted a 7.6% gain over average TV commercial viewing and fast-food restaurants were 4.7% over average. Weaker advertising performers included automotive ads, 8.2% lower than average; home product advertisers, down 7.1%; and telecommunications, falling 5.0%. 5 comments about "Eye-Tracking Study Shows About 60% Of TV Commercial Breaks Go Unwatched". Ed Papazian from Media Dynamics Inc, February 15, 2019 at 12:43 p.m.
Wayne, the presentation by this research firm uses some rather strange terminology and is a tad confusing. Firstly, the average respondent wore the eye tracking glasses for only about one hour ( 30-90 minutes )and, therefore, was exposed to only 25-35 commercials of various lengths. Also, what they report for 15-second comercials is that the viewers' eyes were on screen only 39.4% of the time. Hence the claim that 60% of the breaks are not watched---which is ridiculous. What they mean is that on average, per commercial in a break, only four out of ten program viewers have their eyes on the screen per second. This is about the norm for this kind of research---as subscribers to "TV Dimensions 2019" are well aware. Finally, as regards commercial lengths, their breakdowns actually reveal very little difference. For example, half of the content of a 5-second ad is viewed while the corresponding findings for "15s", "30s" and "60s" all hover around the 39-44% range. And this does not necessarily mean that the very short messages are more convincing---only that viewers have les time to avoid them by looking at other screens or elsewhere. John Grono from GAP Research, February 15, 2019 at 8:08 p.m.
Hmmm. Wayne, I'm not questioning the data, but the lede in this story is basically wrong. "Eye-Tracking Study Shows About 60% Of TV Commercial Breaks Go Unwatched". A commercial break is a break in a programme into which commercials are inserted. It is extremely rare for a commercial break to consist of one ad., especially with the ad weights per hour that are now the norm. But let's assume that there ARE some single-ad commercial breaks" and that they were used in this study (even though it does refer to the improved performance of fourth and fifth ads in the break). The crucial data is " Five- and ten-second ads were watched over 50% of their total duration on average, as oppose to a 60-second ad, where only 39% on average was viewed." So let's consider the 'worst-case' of the "60-second ad, where only 39% on average was viewed." (which is where it appears as though the conclusion that "About 60% Of TV Commercial Breaks Go Unwatched" was arrived at). In real-life numeric terms this means that the 60-second ad averaged 23.4 of its 60-seconds being watched. In this day and age that is no mean feat. At the short-length ad end of the spectrum (5-second and 10-second) 50% of the ad duration was watched. In essence this means that for ANY ad-duration at least SOME of the ad was watched (and on a weighted basis it would be in the 40%-45% based on the above data - but let's use your 40% number). So what this means is that 40% of the commercial break DURATION was watched (and that 60% of it wasn't). But it also means that virtually 100% of commercial breaks were watched. In fact, it probably means that close to 100% of ads were watched - at the duration that the viewer deemed appropriate or useful to them. Further, every ad-study I have seen shows that you do not need to see 100% of the ad duration to get the ad take-out. This even applies to brand new ads that the viewer has never seen - they watch the new ad, decide that they are not in the market for the latest car, and then their attention strays ... then bingo, a new ad and the process is repeated. If you have seen the ad before it is around the 1-2 second mark that you brain recalls the ad from your memory, then recalls the message and the individual's brand take-out - i.e. that ad has done its job. Paula Lynn from Who Else Unlimited, February 15, 2019 at 9:56 p.m.
Just the words together, eye tracking, is way more than disconcerting. Ed Papazian from Media Dynamics Inc, February 16, 2019 at 8:24 p.m.
John, while is is virtually impossible to imagine a situation where every single program viewer does not see a particular TV commercial when it appears on the screen, the basic point is that upwards of 10-15% may not be in the room when sa given ad runs---or are just leaving---while another 25-40% are doing something else and not paying much attention---or none at all. So, typically, you can expect about half of those counted by Nielsen as average commercial minute "viewers" to be actually exposed to an average commercial. 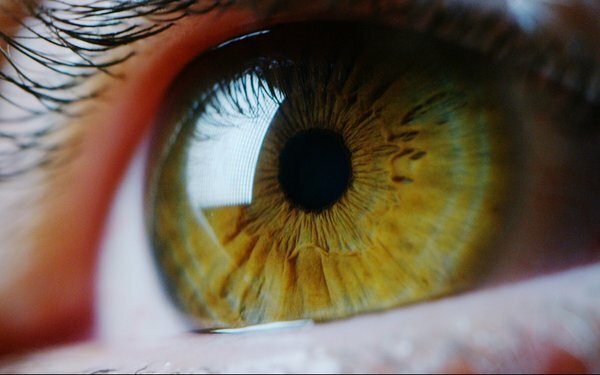 There are a number of "eye camera" research3ers out there at the moment---TVision Insights, for one----but so far, we have yet to see a study where some human response metric is correated with the eyes-on-screen measures. What's needed is a carefully controlled study that compares the ad and message recall of commercials at varying levels of eyes-on-screen behavior. For example it might be determined that verified ad message recall builds up to the point where a viewer "sees" 60% of the ads content, but beyond that there is little gain. This would give us a handle on how to interpret the eyes-on=screen findings, though I would expect all sorts of variables to be at play such as commercial length, the amount of ad clutter in the break, etc. etc. Until we get deeper into this we are merely noting one very good---but not necessarily conclusive--aspect of attentiveness to program and commercial content. John Grono from GAP Research, February 20, 2019 at 12:57 a.m.
Ed, I agree with what you say at the individal ad level. The lede referred to commercial breaks which will have a much higher 'eyes on' rate as only one commercial in a break needs to be watched to 'qualify'. And as you probably know, it is far from my favourite metric!